To find the print option, tap the app's share icon  or  or tap . Tap or Print. If you can't find the print option, check the app's User Guide or Help section. 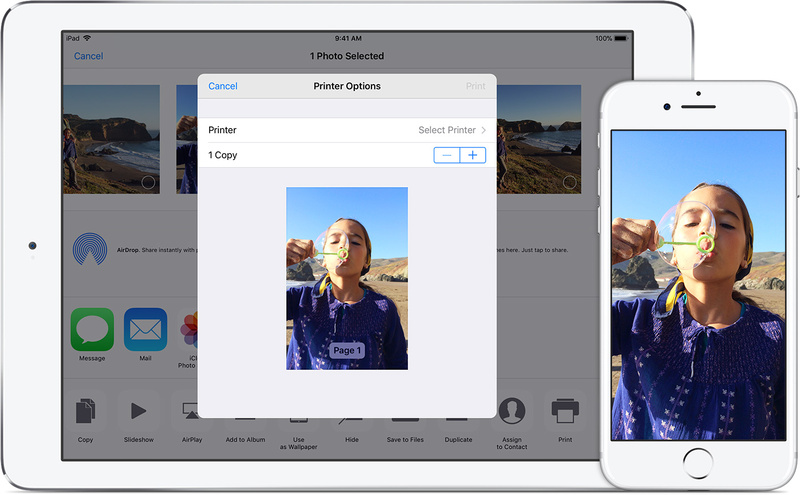 Not all apps support AirPrint.